To all our readers whatever your religious persuasion, whether it be Christian, Muslim or Itsm, we wish you the complements of the season and best wishes for the year to come. May all your projects be funded, your problems have roots, your incidents be brief, and your changes be successful. My thoughts go especially at this time to all of you carrying pagers and mobiles, on call over the holiday. You are a special breed that can do this thing, the IT equivalent of firemen and ambulance medics. On behalf of all of us who aren't on roster, thankyou thankyou thankyou. To all readers: Ho! Ho! Ho! Merry Process! 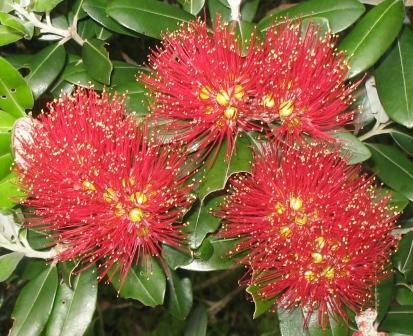 The pohutukawa is known as the "New Zealand Christmas Tree" because it often flowers at this time of the year.... or in the case of the ones on my land, stubbornly doesn't. Submitted by kengon on Thu, 2007-12-27 04:43. All the best wishes to you, the extended community and our families for the remainder of this holiday season, as well as a happy, healthy and engaging 2008. Catch up then!